The biggest differences between white bread and whole wheat are the processing and nutritional value. White bread on the other hand, uses only the endosperm – the starchy inner layer. There are a total of 30 nutrients missing in white bread. The nutritional difference is immense and has measurable impact on our health. 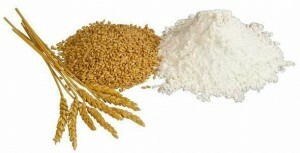 Not only is white flour drastically less nutritious than whole wheat flour, but it is also chemically bleached. The bleaching process was invented due to, not surprisingly, money. Factories figured out they could speed up the normal aging process of flour (months) into literally days to make it ready to sell. Flour mills add chemicals in the bleaching process such as nitrogen oxide, chlorine, chloride, benzoyl peroxide, and even potassium bromate. Many European countries ban the bleaching process entirely. Except for an off-white tint, unbleached flour is identical to bleached flour in terms of cooking; many professional chefs will not use bleached flour due to the slight chemical taste in the final product many can detect. What is the impact of switching from white bread to whole wheat? Fiber helps the digestive system. It also creates a “full” sensation and thus can help with weight control. Research has been conducted by Harvard and other organizations that shows men and women who eat high-fiber foods have fewer heart attacks and strokes than those who don’t. Beware of words like “wheat flour” or “enriched wheat flour” as they can be mostly made from white flour with just a small amount of whole wheat added in. Look for “whole wheat” or other whole grains, like oat. And don’t be misled by the name of the product. Names like wheat, whole bran, stoned wheat, 12 grain and others are still mostly white flour. The only way to know for sure is to read the label.